If you think about it, you know you've seen them all over the city -- those curbside metal posts that once supported the parking meters of yesteryear. Ever since the city upgraded to the electronic parking machines, these metal posts have stood as a relic of the past, too costly to chop down and remove completely. On Westcott Street, a creative reuse for these posts have been popping up in the business district, as you can see in the picture above. 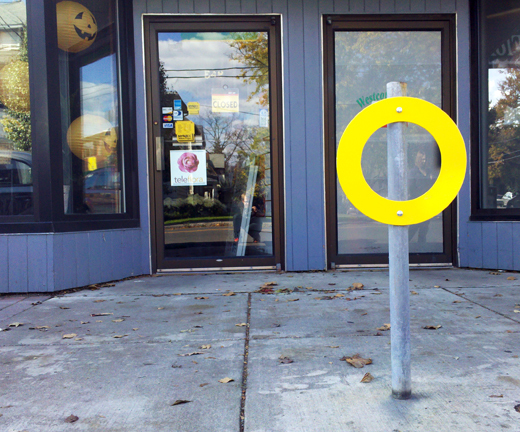 A simple, colorful, metal ring has been attached to the post, instantly turning it into a functional bicycle hitching post. Props to the mastermind[s] behind this excellent addition to the city's bicycle infrastructure -- this could and should be replicated all over the city, quickly and easily. agreed! 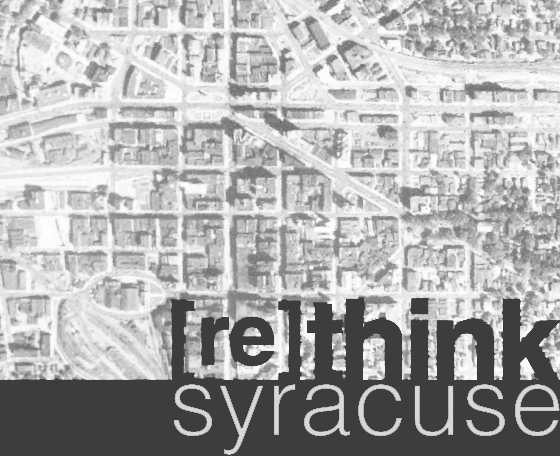 syracuse needs bike parking and this is a great way to re-use existing structures. my only complaint is that the rings are mounted too high to easily lock your wheels.